We are continuously seeking licensed, professional commercial drivers in several locations nationwide. As a member of the Alside CDL Driver team, our main objectives are to work safely, efficiently, and deliver excellent service to our customers with timely, courteous product deliveries. Alside provides an opportunity for CDL drivers, class A or B, to drive local routes Monday through Friday, typically working 7:00 AM to 4:30 PM. We hire professional drivers who provide superior customer service, along with efficient warehouse duties that are required with the position. Our drivers make multiple delivery stops throughout the day, and are responsible for learning our product lines while loading and unloading their truck for customer deliveries. Check out our current job listing below and consider a local driving career with Alside! 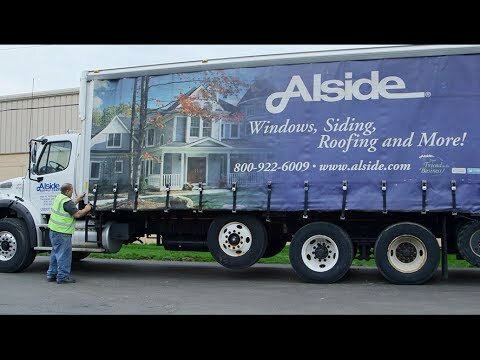 Alside is a leading manufacturer and distributor of windows, siding, and other residential construction materials. Founded in 1947, our products are distributed to licensed professional contractors and home builders through our company-owned and operated network of 100+ U. S. Supply Centers.